Scott Neeson was on a short vacation, having left his job as head of Twentieth Century Fox film studio, and about take over the reins at another studio, Sony. 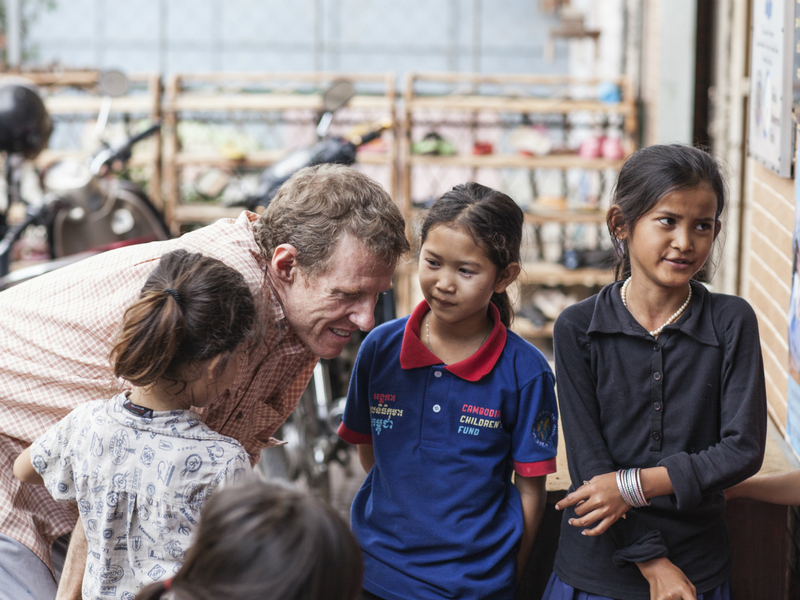 He made a stop in Phnom Penh, Cambodia, and one day was shown the local landfill, where several thousand children were living, sometimes with a family, sometimes not, in impoverished, desperate circumstances. Neeson is in Vancouver because Westbank Corp. President Ian Gillespie announced his company’s partnership with World Housing. This is the first Platinum Partnership—a one-for-one gifting commitment—by a developer to World Housing. 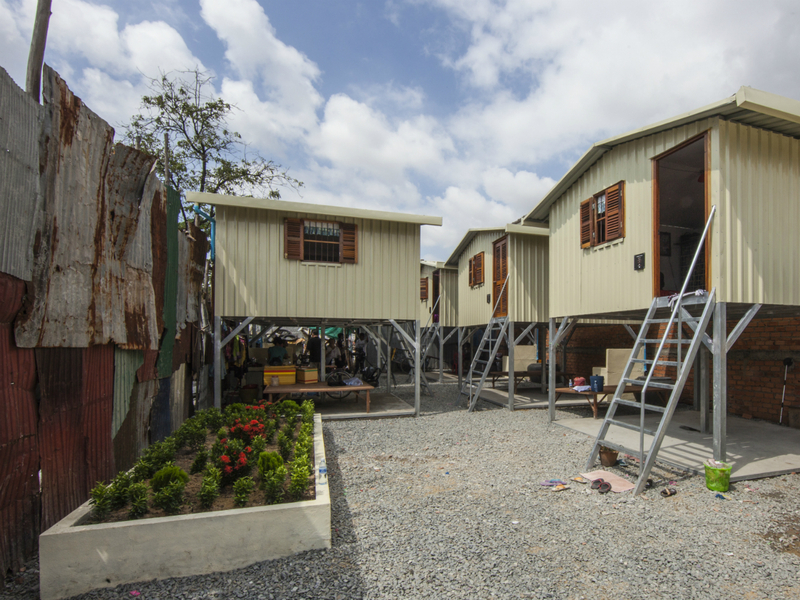 Westbank’s Vancouver House project is already innovative in many ways, but its relationship with World Housing, and thus with Neeson’s Cambodia Children’s Fund, means that each residential unit sold at Vancouver House contributes to Westbank building and gifting homes to families currently living in shacks in a Cambodian garbage dump community. 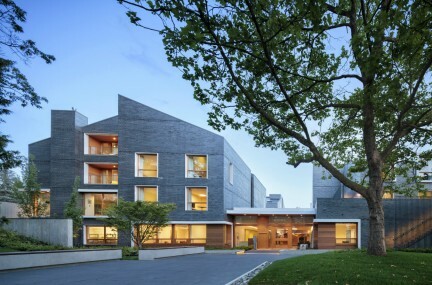 Four hundred homes have already been funded by 20,000 Gesamtkunstwerk attendees. 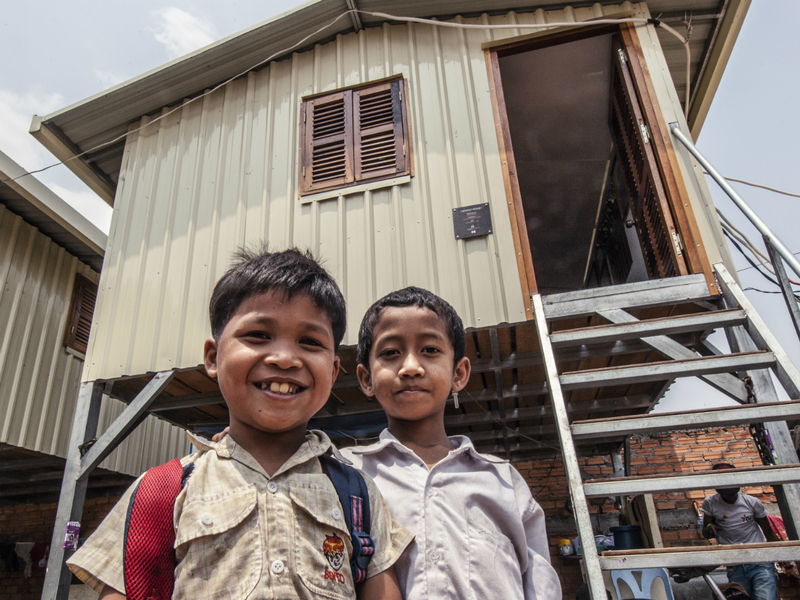 A typical World Housing home is a 130-square-foot, metal insulated structure that rests on elevated supports to protect from the elements, equipped with a rainwater collection system to provide fresh water. Neeson is matter-of-fact about how it works. 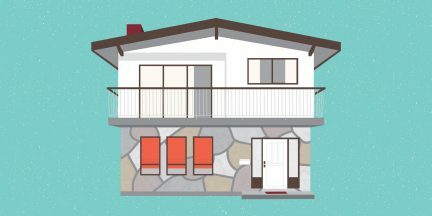 “Each buyer here in Vancouver is given contact information about the family whose house is built, thanks to this program. 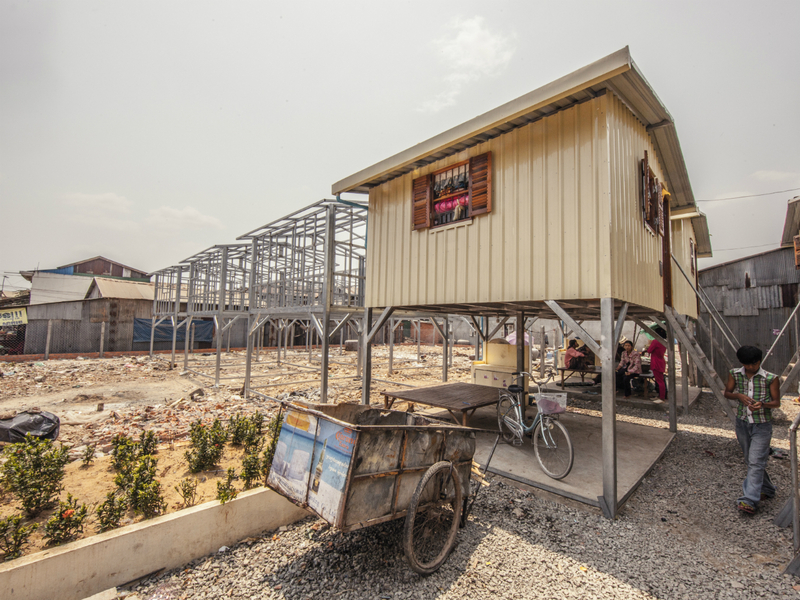 To do what we are doing in Cambodia takes a lot of effort, and a lot of money. But we are really getting things done, and the money all goes directly into the programs.” He sits back, and says, “I can’t wait to get back, actually. After a day filled with emails, phone calls, meetings, there is nothing better than walking out into the community, visiting the families in their new homes, hearing about how they are doing, what they are learning.” The relationship with World Housing and Westbank means that, at the end of process, over 400 homes will have been built.